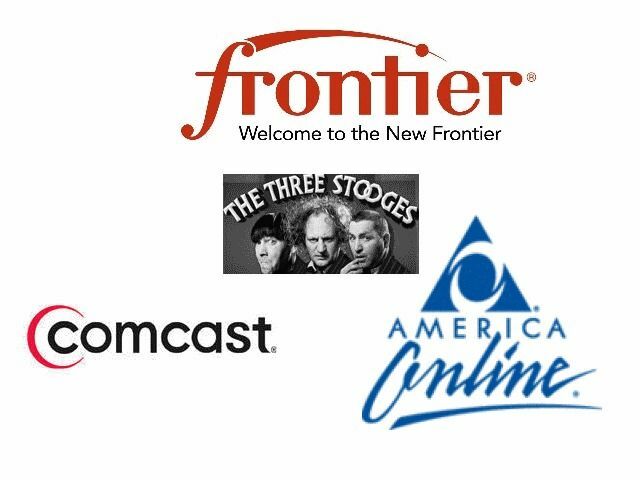 Facebook is wrought with security problems, but using AOL, Comcast, or Frontier for e-mails is for the 3 Stooges, they set us up to lose friends. I always cringe when I see one of these three e-mail addresses. The tell me, it is just a matter of time until our friendship ends, when you switch over to Gmail, or Yahoo Mail. Even though Facebook is a serious security risk to your identity, if we are friends on Facebook, it is almost impossible to lose your friendship. Facebook is worst than Ad Spyware to leave, they track your family, friends, making the CIA look like children, once you are captured, they never let loose, we do remain friends, with many caveats. Don't get me wrong, Google is a also worst than the CIA. or any other acronym you want to quote. But friendship is important, and best to avoid the 3 Stooges of Email. Andy Lee Graham, using Yahoo for over 10 years. Placing an e-mail in webpage allow e-mail harvester programs to collect your e-mail for s-p-a-m-m-e-r-s.
We work constantly to stop security problems, and to protect the members of HoboTraveler.com, and here is Facebook, with more money than anyone, and they just make stealing identities easy. They help us know birthdays, and then put us in touch with people who could in their misunderstand could tell information like pets name, favorite colors. All in all, they could warn people when they are talking about something that is not wise, but they don't. On the other hand, Facebook has connected people that has not seen each other, or heard from for years, so this is the good. But they are negligent, they should mitigate the damages, and they have the knowledge, and the power, and the money. We do not collect information that is of value on HoboTraveler.com, and are constantly working to identify, we do not want you to talk to strangers, but we also do not want you talking to strangers and telling them information that needs to be kept private like your first dogs name, or the street you live on when you was young, or where you was married.